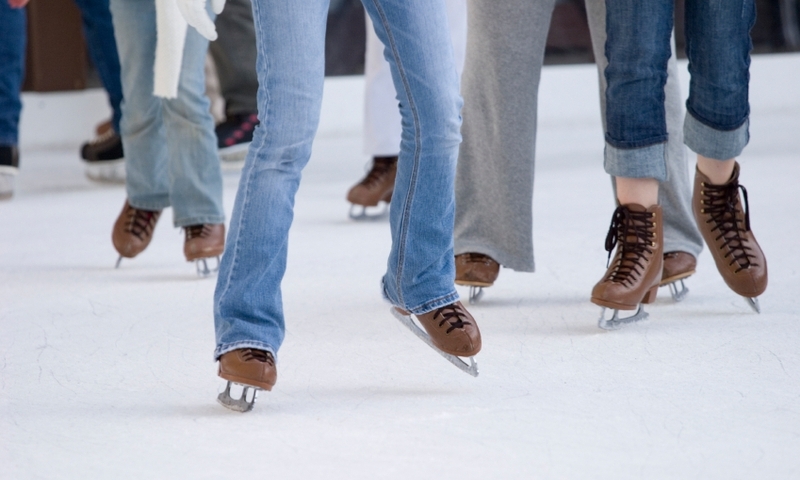 Great for young and old alike, Ice Skating is the perfect way to get the entire family together for a fun day outside, and the scenic outdoor rink in Mammoth Lakes is the ideal location for your outing. Lessons and Rentals are available. If you’re looking for a great way to get your entire family together for a fun day outside, ice skating in Mammoth Lakes is the perfect activity. The city’s only rink is located in a beautiful alpine meadow and the views alone are worth the trip. The City of Mammoth Lakes maintains an outdoor ice skating facility that is open to the public from mid-December to late March. Lessons and rentals are available. There is no charge to use the facility. The rink is open weather permitting, so it’s a good idea to call ahead and check to make sure they’re open. Call 760-934-2505. Whether you’re a beginner just learning the sport or an experienced skater looking to sharpen your skills, a lesson from an experienced instructor is a great way to improve. You can find great lessons and rentals available at the rink and from the providers on this page.